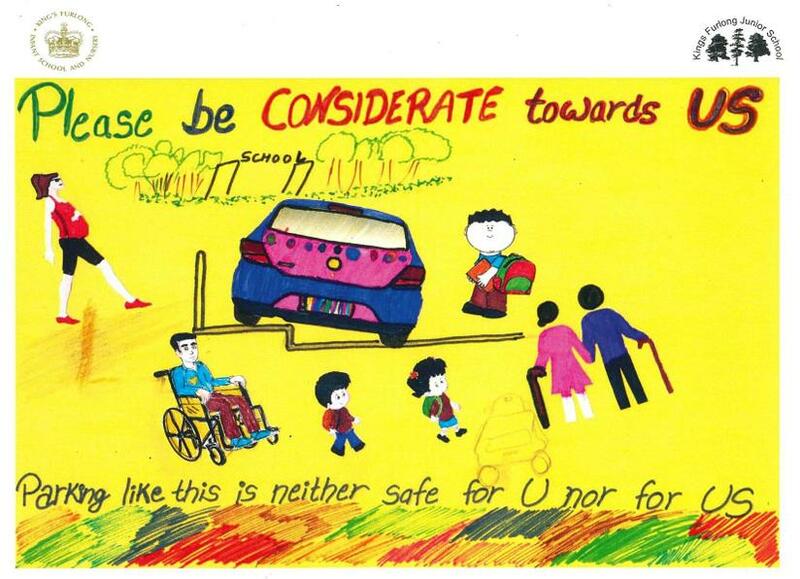 Kings Furlong Junior School are working closely with the Infant School and Nursery to ensure parents park safely when dropping off or collecting their children. 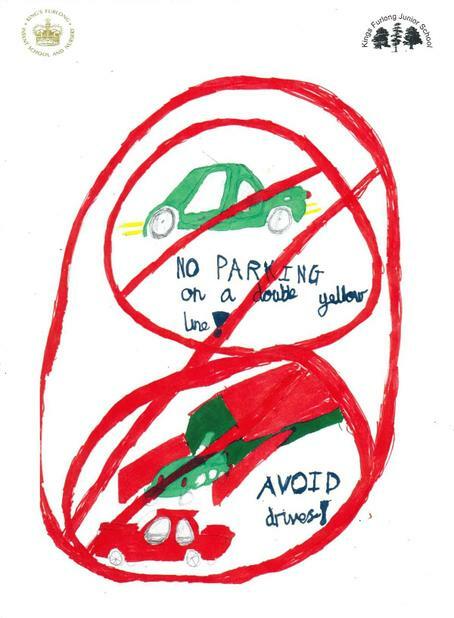 Two child designed posters have been made into stickers for wheelie bins to act as a visual reminder for drivers. If you would like one of these stickers for yourself or a friend/family member who lives in the local area, they are available to collect from the school office on a first come first served basis. Please remember that the stickers are only for bins, which should be put out for collection on your usual days.